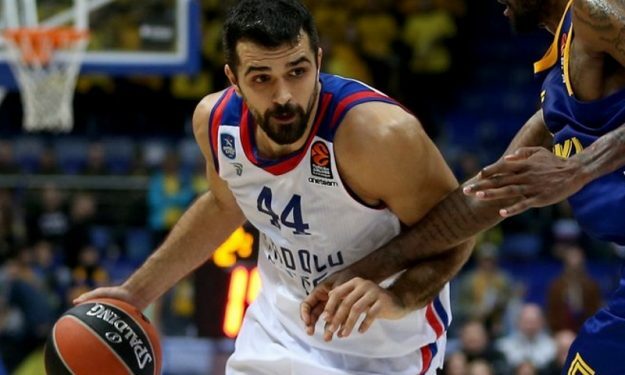 Krunoslav Simon made a go-ahead 3-pointer with 23 seconds remaining and the score 90 – 89 and Anadolu Efes captured its fourth win in the 2018-2019 EuroLeague by defeating Gran Canaria 94 – 90 on the road. “They were playing great in the whole game. In the last two-three minutes, we scored some tough shots so we won an important game,” Simon said in his post-game flash interview. Simon’s bucket capped a comeback for Efes from 10 points, 87 – 77 with four minutes remaining. Gran Canaria was up in the vast majority of the game but failed to deliver in the last stretch, missing plenty open looks while giving Efes the opportunity to come back. That’s what it happened with Beaubois and Pleiss scoring key points and then Simon finishing the job for Efes that was without guard Shane Larkin who was injured in a pre-game practice. Simon finished with a team-high 18 points, plus four assists while Bryant Dunston posted a double-double 12 points and 11 rebounds. Vasilije Micic added 17 points and four assists. DJ Strawberry scored 19 points, grabbed five rebounds and dished out seven assists and captain Eulis Baez had 14 points and five boards for Gran Canaria that dropped to 1-5.